On October 4, 1957, Sputnik 1, the world's first artificial satellite, was launched and started circling the Earth. Moon, which had circled the Earth (perhaps alone) for billions of years, acquired a tiny companion. With it, Space Age began. So was the intense competition between the United States and the former Soviet Union in exploring space. In the beginning years of space age, Soviet Union pioneered the exploration of the Moon. The first spacecraft to hit the surface of the Moon was Soviet. So was the first spacecraft to photograph the 'far side' of the Moon. And, the first robotic spacecraft to successfully land on the surface of the Moon was also Soviet. In the late 1960s early 1970s, the Soviet Union successfully sent unmanned spacecraft to bring soil and rock samples from the Moon. It also landed two robotic vehicles called “Lunokhods” to explore the moon. In the beginning, the United States had to face many difficulties in exploring the Moon. But, later it successfully explored the Moon through its Ranger, Surveyor and Lunar Orbiter series of unmanned spacecraft. More importantly, it's Apollo manned lunar programme became a huge success. 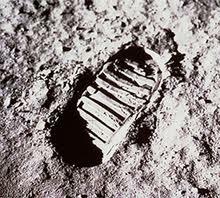 Through that, twelve American Astronauts walked on the Moon and together brought back about 382 kg of lunar soil and rock samples. 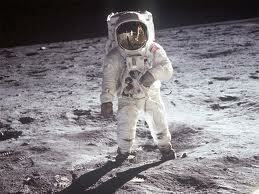 Of them, Neil Armstrong became the first human to set foot on the Moon, on July 21, 1969. After the Soviet Luna 24 brought back soil and rock samples from the Moon in 1976, a huge gap of about 14 years occurred in the exploration of the Moon. Moon again became the target of exploration only in 1990. In that year, Japan launched a spacecraft called Hiten towards the Moon. Later, the American Galileo spacecraft also looked at the polar areas of the Moon during its long journey to Jupiter. And in 1994, the American Clementine spacecraft that orbited the Moon created great excitement in the scientific community. The reason was its detection of what appeared to be water ice in the south polar region of the Moon. To follow-up that information, US launched Lunar Prospector in 1998. Again, that spacecraft too provided additional information which appeared to indirectly indicate the presence of water ice on the moon.